the rikrak studio: fun update & the FAN PRIZE winner! --> nominations for the 2012 handmade olympics are now closed. --> next tuesday, april 17th i will reveal the judges' shortlists in each category, at which time VOTING will begin on your faves! yay! can't wait to see those shortlists! and then we'll dole out over $1700 in prizes! woohoo! but before we get to that, and all of THOSE amazing prizes, first we need to celebrate all the nominees! so as promised, a fan prize goes out today to one of the entries. thanks to random.org, entry #164 is our fan prize winner ... moira t. , with her nomination of ToHOLD's charming LIVE plant earrings. 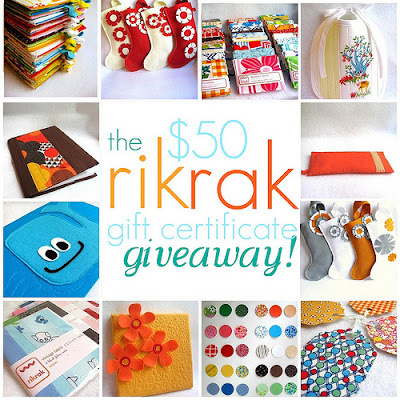 moira, you've won yourself a $50 shopping spree in my own little shop: rikrak! yay! i'm excited to see what you'll choose! so thanks to everyone for playing! i just LOVE all of the beautiful handmaking goodness that's been nominated, nicies! and i've found so many new-to-me faves! love that! fabulous work, nicies! yay handmade! can't wait to see the lists!! oh my heavens - YES! me too nicey! can't wait!